© Copyright Avi Sion, 1999, 2000; 2003, 2005; 2008, 2010 . Third Edition, published in 2010, by Avi Sion in Geneva, Switzerland. 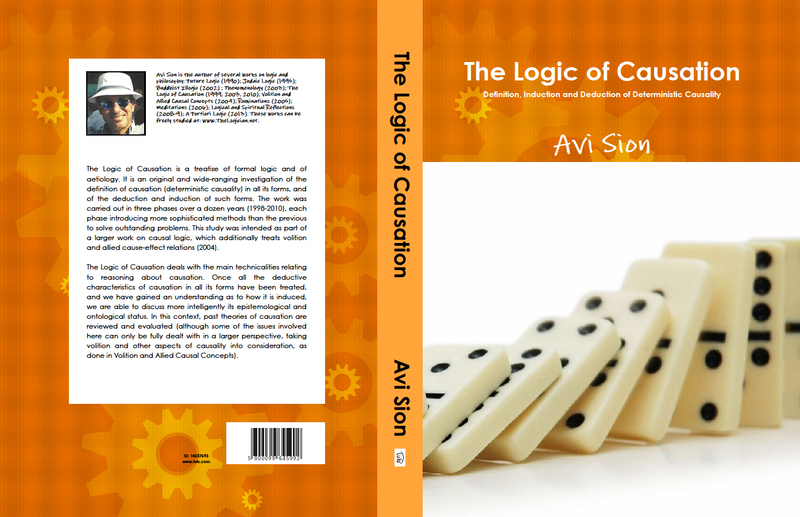 The Logic of Causation is divided into 24 chapters, and 2 appendices. If you are looking for a specific term or phrase anywhere in this website, use the Search facility. To look for words through the web page you are on,use the Edit / Find facility in your browser.